Both kinda appeal to me, but I do not have an idea about “strategic” (?) advantages both builds might offer. I enjoyed Chain Lightning Sorc in D2, I believe the first build will have a similar gameplay? Summoner build seem to have a higher endgame potential, however despite liking Skeletal Mages from D2 I wonder whether it is close to being ResidentSleeper-like, can’t quite understand much from videos provided. Also, as far as I understand atm, it’s not a good idea to try to completely respec a character and to roll a new one instead, in case if I’ll want to try the other build for the same class? If you need poe currency cheap in game, you can choose u4gm.com sale cheap poe currency. Generally self-casting spells is in a pretty bad state right now (what I mean by that is spell builds are generally stronger when built around Totems or Mines or the like, rather than casting them yourself). That being said, the Arc build you referenced is very thorough and easy to gear, and should play very similarly to chain lightning sorc in D2 – though as you said, it has a lower “endgame ceiling”. Summoners are very strong and are more likely to scale into the highest content the game has to offer (in your note about respeccing, it’s not exactly plausible to respecc from a lightning self-caster into a summoner – but it is more plausible to repecc from one type of summoner [Skeletons] to another type [Summon Raging Spirits/Spectres etc.]). 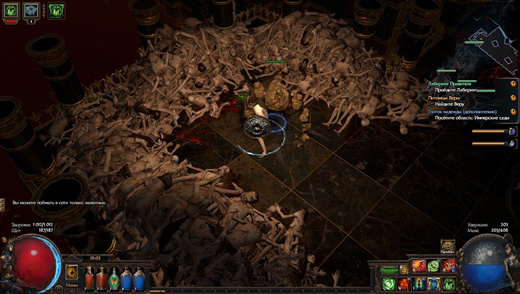 I haven’t played a Skele summoner in PoE, and I never tried them in D3, but summoner builds in PoE are not quite like summon Necro was from D2. In my opinion, the closest summon build to D2 Necro would be a Spectre Summoner, but you only have ~5 Spectres instead of D2 Necros… ~100 summons. Both builds seem viable, though the skele summoner is a bit more complex. I’d say whichever playstyle you prefer is the way to go. Both Arc and Summon Skeletons are available very early on; so though you won’t get the feel right away of a fully leveled character invested into each skill, you can get an idea for how each skill works mechanically by just trying them at level 10/12 when they become available.